Potential buyers and sellers should both very interested in what home inspectors look for when performing their rounds throughout the property. After all, major home inspection problems can equivocate to big bucks when it comes down to repairs and replacements. This quick home inspection guide informs home shoppers of the most important aspects of a licensed home inspector's checklist. Serious foundation issues can be rather costly to repair, so inspectors closely examine both the structure of the home and its primary support system. Concerning signs may include large cracks bigger than one-quarter of an inch upon the walls, ceilings and any visible exterior foundation or surrounding cement. Other indications include damp basements and crawlspaces, sloped or warped floors, and stuck windows or doors. However, some signs like hairline cracks on walls, doors, windows and frames result from normal home settling. 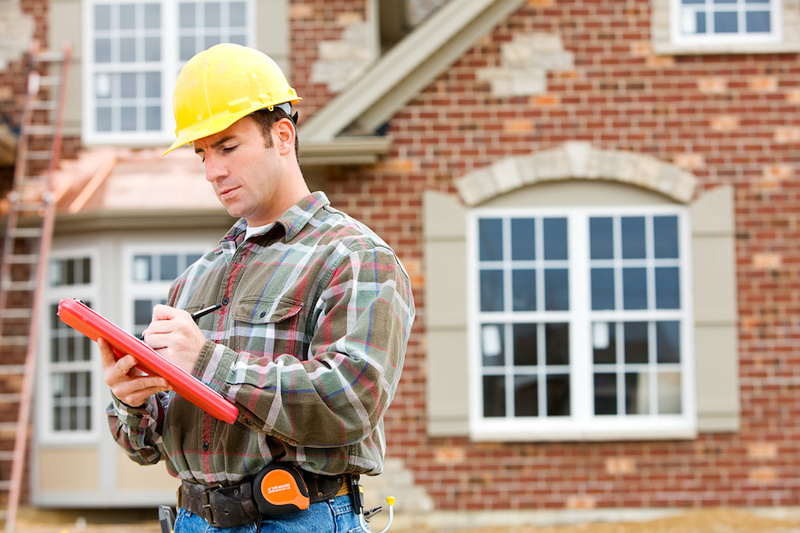 If a home inspector suspects damage, contact a professional foundation engineer to closely evaluate the severity. One of the major home inspection problems that inspectors look for include any signs of mold and mildew. While even common mildew and mold spores can cause sensitivity to those who come into contact with them, the dangers of black mold can be serious. Symptoms of the presence of spores include sneezing, rashes, runny nose, and those with asthma can suffer from breathing issues and asthma attacks. Those considering buying a home where mold and mildew have been spotted can demand the seller invest in professional mold remediation or negotiate the costs—which can be expensive—as part of the sale. New roofing can cost the average homeowner $15,000 or more depending on the size and type of roof system they install. Licensed home inspectors will investigate the condition of the shingles, composite or other roofing materials in addition to checking the structural integrity of the roofing beams. They'll look at the chimney for any signs of leaks and check out the flashing and gutters. Inspectors should be able to give Downtown St. Pete buyers an estimate concerning how many years the roof has left, even if no serious issues are discovered. While small plumping issues may not be a major concern, problems such as corroding pipes, poor water pressure and septic system complications can lead to hefty repair bills. Inspectors will look for these biggies in addition to checking faucets, toilets, dishwashers, water temperatures and other related piping and plumbing fixtures. The inconvenience and expense involved with septic repairs and/or re-piping a home can be cumbersome, so buyers should have their realtor begin negotiating with sellers ASAP. Whether the home features a combination heating, ventilation and cooling system (HVAC) or is operated by a separate furnace and cooling method, home inspectors will give all of these systems a thorough run down. Systems that run on gas, will also need to have those pertinent lines inspected for functionality, too. Heating and cooling are key to comfort within the home, and they can cost several thousand dollars to replace. As with roofing concerns, ask the inspector how long the heating and cooling system should last. Checking electrical systems can be involved, especially in older homes. Typically, home inspectors will look for obvious clues of problems while evaluating the functionality of various electrical components. This includes looking for exposed wires, clicking switches, breaker and circuit panel functionality and checking for GFI circuit interrupters in kitchens and baths according to local codes. Even the smallest electrical malfunction can cause fires that could leave new owners homeless without warning. Those in the market for a home free of major flaws or who simply want a real estate professional who will diligently negotiate on their behalf to buy one that needs a little TLC, should contact a local, experienced agent today.